As serious wine connoisseurs know, you have to let red (and some white) wines breathe after opening, allowing them to aerate for the best aroma and taste. As a generalization, the younger the wine, the longer it needs to rest before drinking. Very young wines might need a few hours, but half-an-hour is the minimum. Simply taking the cork out doesn't count: the wine needs to be decanted (or double-decanted back into the bottle) for proper aeration. 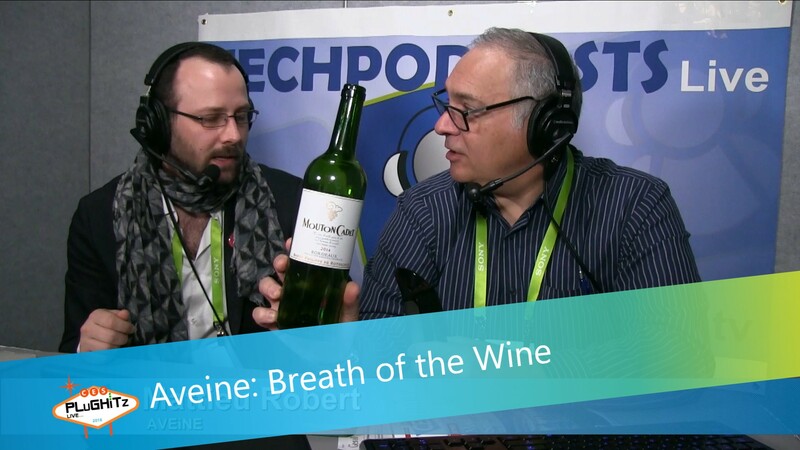 If this sounds like too much effort, then take a look at Aveine, a connected aerator and winner of a CES Innovation Award. Don and Matthieu get every wine tasting its best. Thanks to the connected aerator Aveine, you can immediately taste any wine in ideal conditions without having to wait 30 minutes or more. Place the aerator on the bottle, scan the label with your smartphone and serve. The smartphone checks for the wine in its database, connects to the Aveine and adjusts the aeration so that the aerator breathes the right amount of air as the wine is poured allowing it to breathe in an instant. Any red wine will benefit and there's no waiting around or pouring into decanters. The Aveine aerator is launching on Indiegogo in March - signup for notifications at Aveine. Retail pricing is expected to be $200 with deals on Indiegogo. Delivery in June. P.S. This is possibly the funniest CES video - a few things are lost in translation.